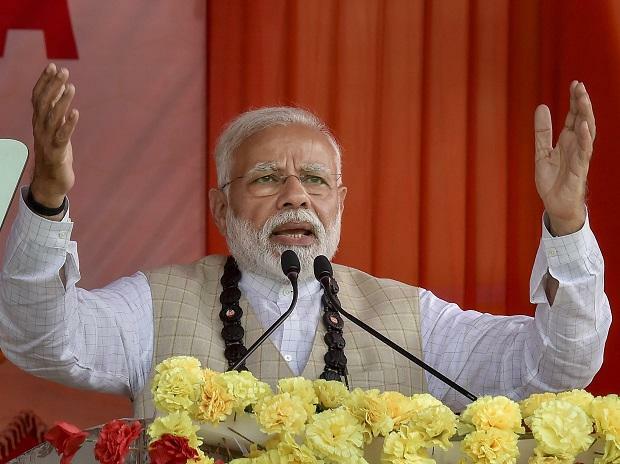 Coining new acronyms for 'BC'and 'AD'--the two time periods, Prime Minister Narendra Modi Thursday used them to take a swipe at the Congress, saying the opposition party has known only two phases--'Before Congress' and 'After Dynasty'. during the debate on motion of thanks to President's address on the country's achievements since Independence. In a marathon reply to the debate, Modi said the Congress keeps bringing up 1947 like BC and AD whenever the current government speaks about its achievements since 2014 when it came to power. "When we speak about history, we use BC and AD. We heard speeches which kept mentioning the periods from 1947 to 2014. "BC and AD have their meanings. BC means 'Before Congress' which means there was nothing before the Congress came to power and AD 'After Dynasty' which means whatever happened was after the dynasty," Modi said in a veiled reference to the Nehru-Gandhi family. The terms AD(anno Domini) and BC(before Christ) are used to label or number years in the Julian and Gregorian calendars. Modi also accused the Congress of defaming the nation. "In discussing Modi and in discussing BJP, they end up defaming the nation. That is why their leaders go to London and do press conferences to show India in bad light," the prime minister said. Modi made this remark in an apparent reference to a news conference in London by a self-proclaimed cyber expert who claimed that the 2014 Lok Sabha polls were rigged through hacked Electronic Voting Machines (EVMs). Congress leader Kapil Sibal was present at the conference last month through skype by an US-based Indian who identified himself as Syed Shuja. Sibal had said he attended the event in personal capacity, in response to the BJP's allegation that he was there on behalf of his party. Modi also said the Congress did not have vision and has not worked for the benefit of the nation. "Modiji will frighten the people who are corrupt," said Modi, adding, "the nation has put me in this position to end corruption.